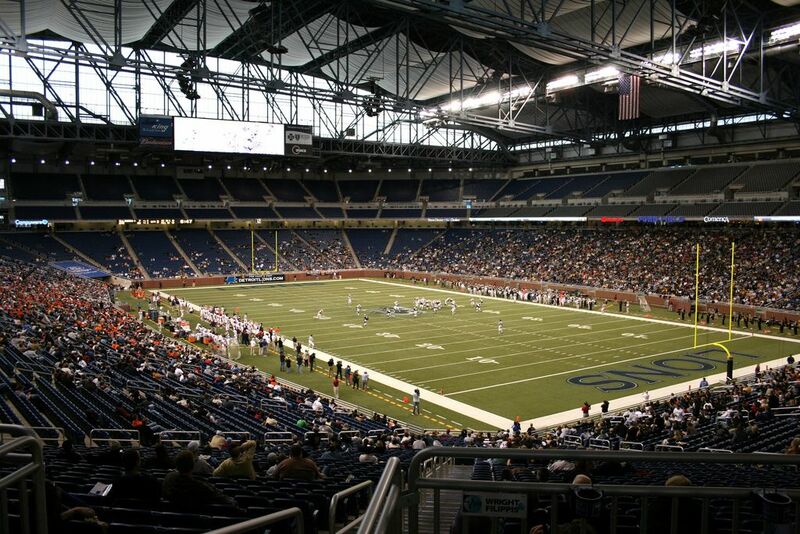 In 1996 Detroit Lions announced the will to build a brand new stadium in downtown Detroit, one that would be permanently domed, but not using the air-support technology that was already seen as problematic. 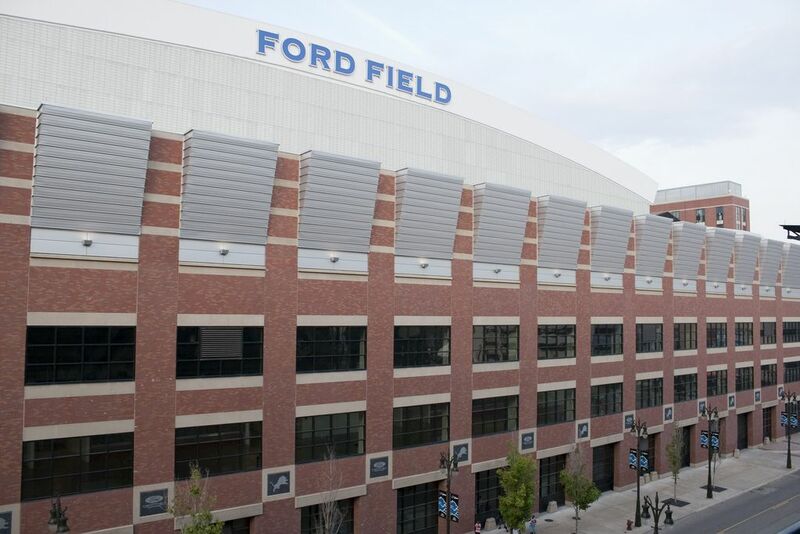 The stadium designed by a consortium of renowned architecture practices was fitted into the dense mid-rise urban area and could perhaps even be missed by some passersby if it wasn’t for its vast white roof sloping over the brick facades. 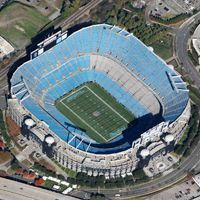 The structure supported by huge trusses hides 65,000 seats (expandable to 70,000 if needed), of which most seats are located on two tiers. 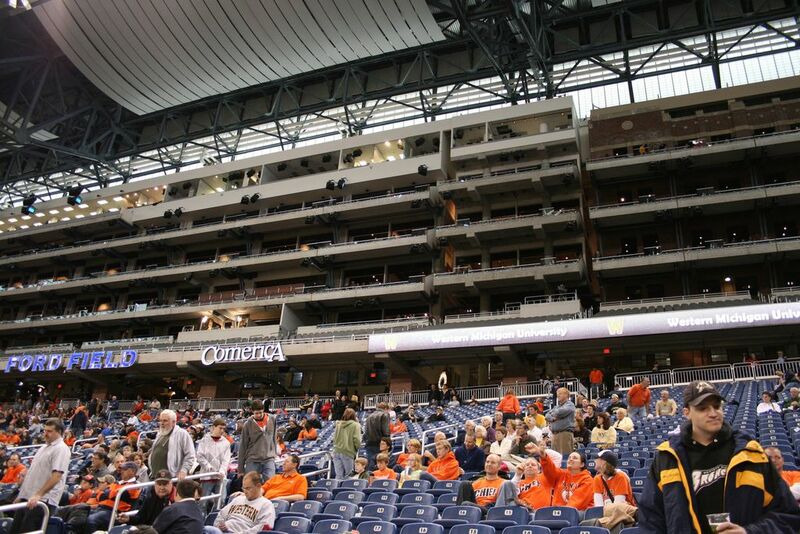 Only the main grandstand breaks the layout by holding all of the corporate skyboxes above just one tier of regular seating. 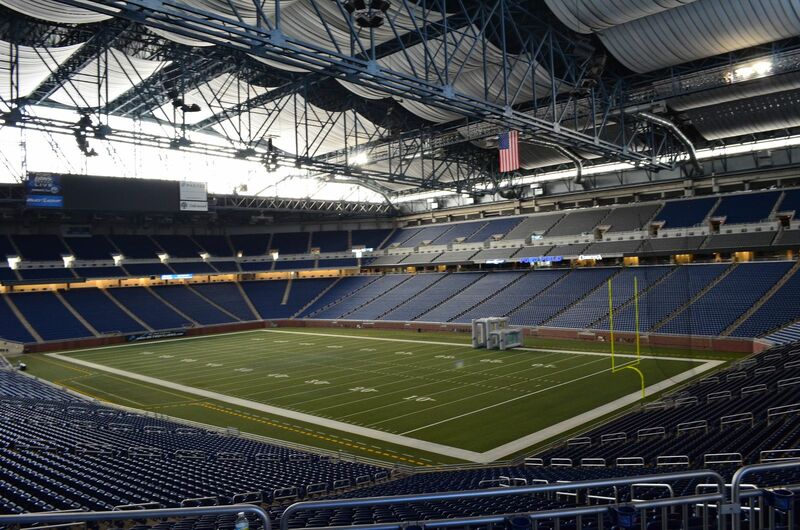 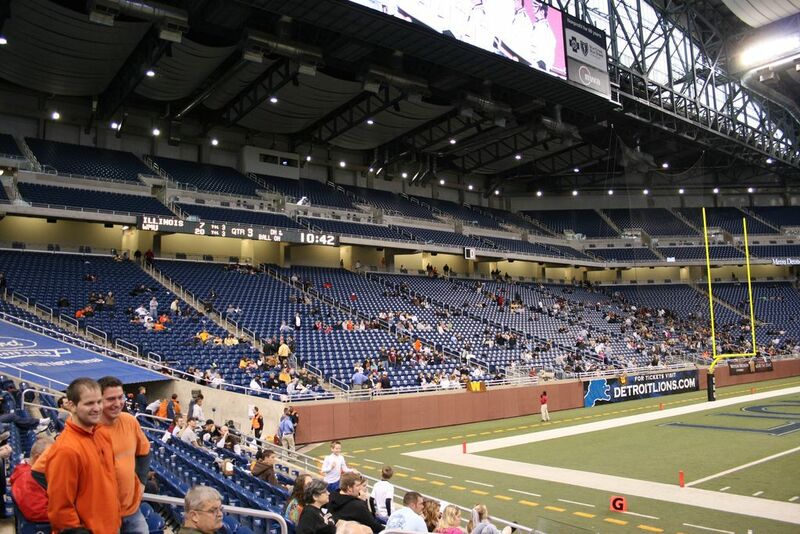 Upon opening this was said to be the best seating layout throughout the NFL. 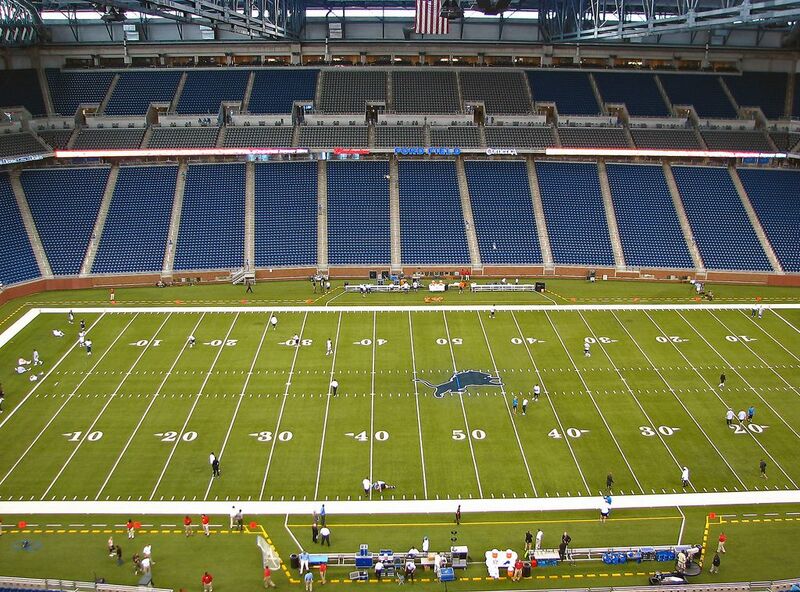 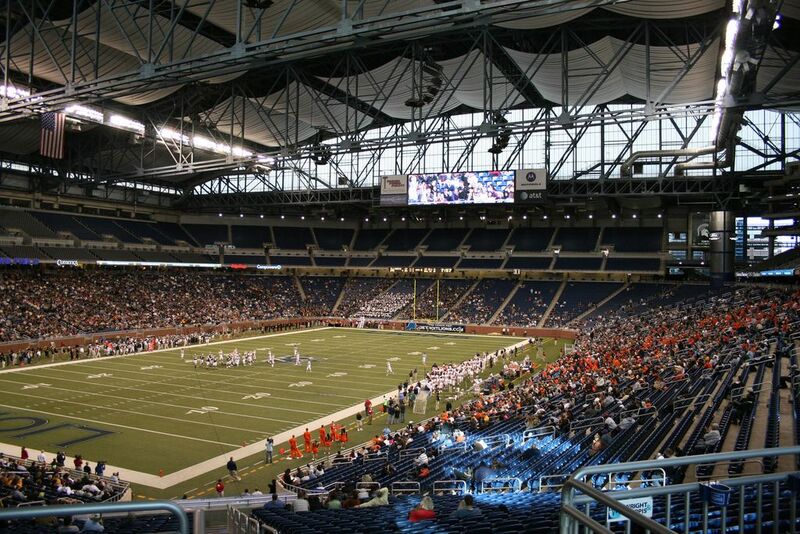 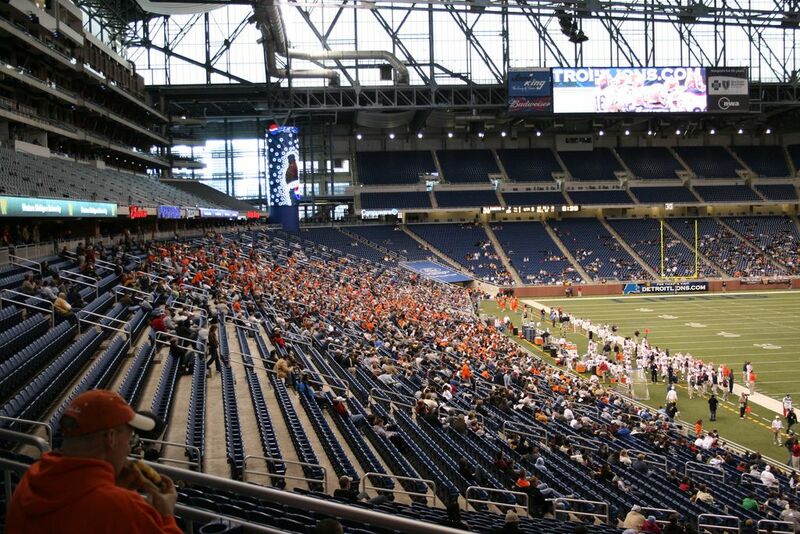 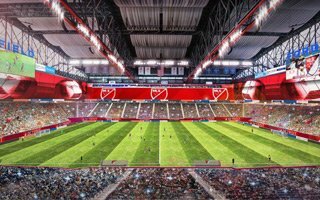 Since the opening in 2002 it hasn’t only hosted NFL games of Lions, but also various other sporting events like wrestling or basketball, the latter reaching peak capacity at 78,000. 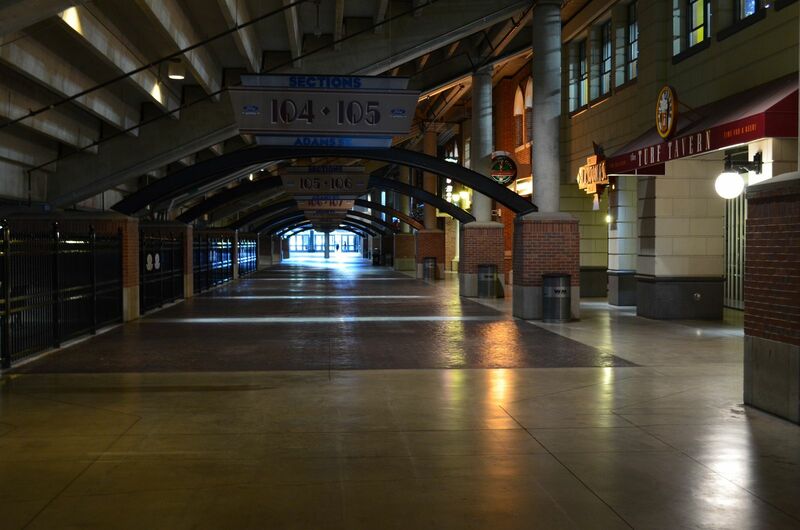 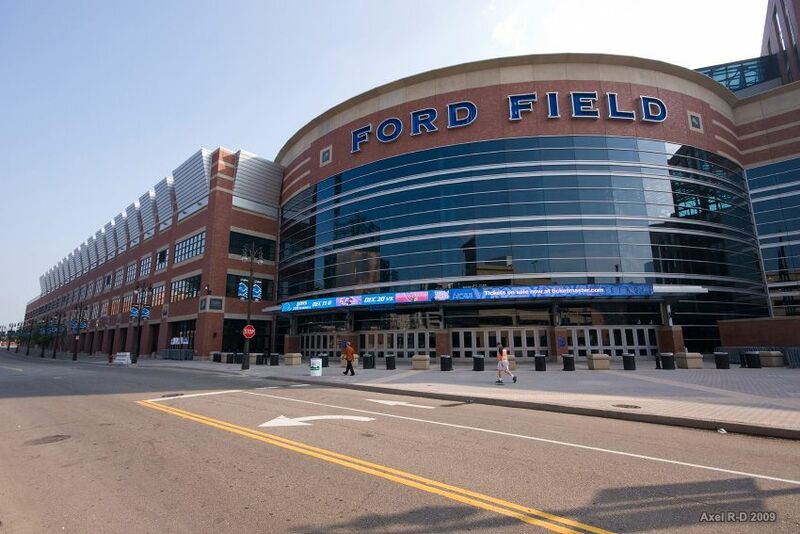 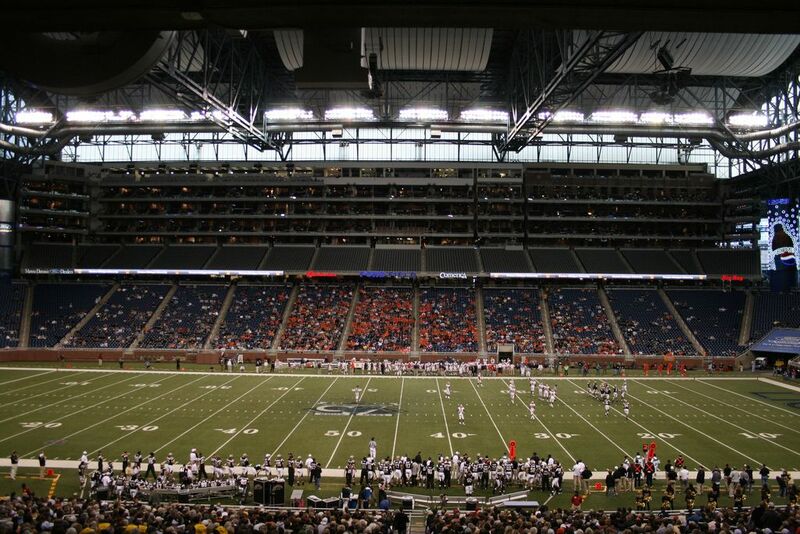 Concerts and large entertainment events are also being held here and with surrounding buildings accommodating more uses Ford Field also became a convention hub. 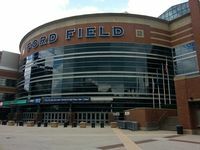 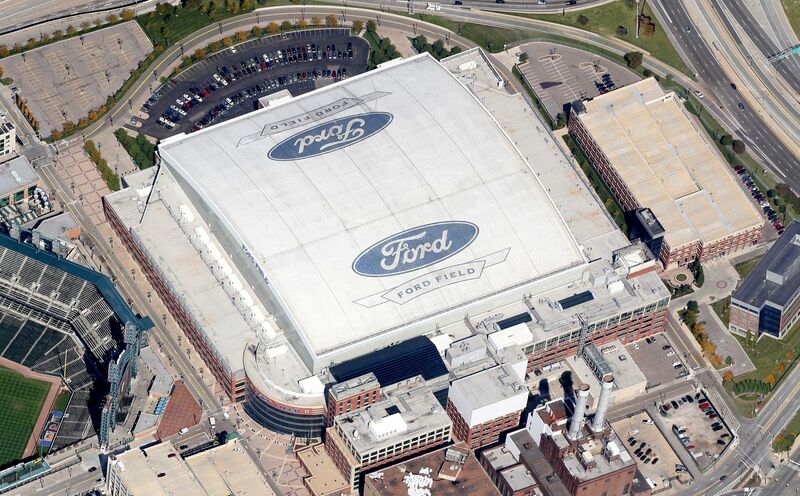 The naming rights were acquired by Ford for two decades, while two other car giants from Detroit can be spotted nearby – Chrysler with a freeway named after the company just meters east of the stadium and GM with its main offices along the same street.